For the past 10 years, we’ve been looking in Europe, Central, and South America for that ideal retirement community. At first we bought new construction properties in France, thinking the quality of life with food, wine, entertainment, and the arts would be what we wanted. What we learned during the first five years was that the cost outweighed the benefit of being able to retire comfortably there. During this time, we also purchased land in Argentina, both in a gated marina community, and in a ranch setting along the Rio Parana. The thought was that we would develop both properties, sell the ranch property, and possibly live in the Marina property. If you’ve been following Argentina’s peso, you’ll find out that the currency is unstable. The once 3 to one ratio of peso to dollar is now 12 to one on the black market. In addition to that, the crime rate is high. We then started to follow the International Living Magazine only to find the places mentioned in the magazine were not being accurately depicted. We looked at properties in Ecuador, Uruguay, Chile, Costa Rica, Panama, the Dominican Republic, and Colombia. While the roads in Ecuador were being improved, we felt the infrastructure for the rest of the country was poor. Uruguay was only nice along the coastline, but again, the infrastructure was poor throughout the country. Chile had impressive properties at low costs and Santiago was wonderfully developed, but the distance to travel anywhere in the world was far. Also, the medical facilities were only good in Santiago. We didn’t want to live in a city. Our goal was to retire into a countryside setting. Costa Rica hadn’t changed since the 70s. The new hotels were nice, but the living conditions and availability of goods were poor. Housing wasn’t cheap, either, and the security conditions were questionable. Panama appeared better on paper than in person. Within Panama City, the noise was unbearable, even at 15 floors above the main street running in front of the Intercontinental hotel. We put money down on a 51st floor penthouse apartment only to find six months later that the plans had changed, and our penthouse deposit now only bought us an apartment on the 15th floor of a 31 floor structure. Panama City wasn’t like other cities, it was small and manageable. Almost like a city in the country. We opted out. The Dominican Republic was a big disappointment. Unless the international traveler wants to live a hotel community, it was less than desirable among all the countries in which we looked. If you would have asked us five years ago about Colombia, the news of the cartel and the crime rates would have been the main reasons it wouldn’t have been on our radar. 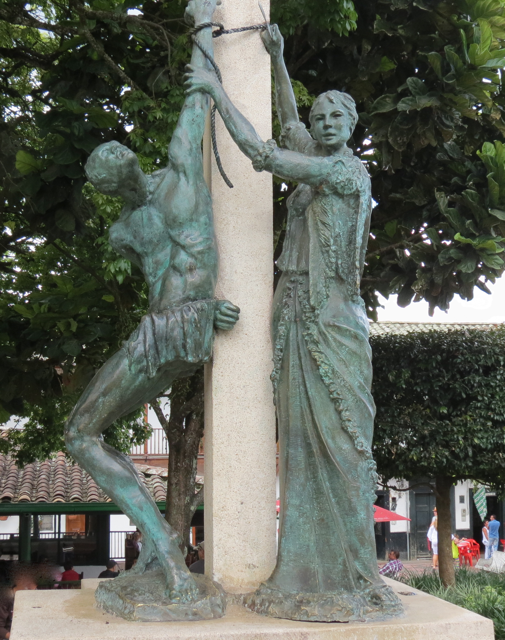 Our first visit to Colombia in the fall of 2012, piqued our interest. 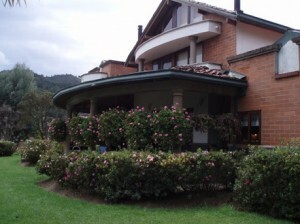 We stayed in the City of Medellin while traveling to the countryside to look at properties. We were impressed with clean water, electricity and gas, and other utilities that were much more dependable than all the other countries in Central or South America. Medellin was too big of a city for us, so we decided to look at the countryside around the international airport. What we found amazed us. There were homes of many types and sizes: multimillion dollar range, million dollar range, under a million, hundreds of thousands, and under a hundred thousand. As we didn’t want to put all our money into one home, we bought a home on a hectare for around $310K, just outside of El Retiro. The home has six bathrooms, four bedrooms, including two master bedrooms, unlimited free water supply – we only pay about $30 every three months for the water system maintenance – several trees of avocado, orange, lemon, tangerine, banana, and other – guest house with two bedrooms, bathroom, kitchen and living room. The views are incredible, and the temperature is spring-like all year round. 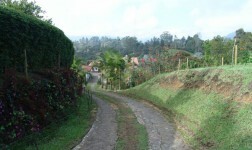 Besides being located within 35 minutes south of Colombia’s José María Córdova International Airport, El Retiro was the right choice for us for several reasons: The areas around El Retiro are used for farming and agriculture, including products such as avocados, beef, chickens, eggs, flowers, and citrus. The roads going in and out of the farm areas, often accessed via dirt roads have many horse trainers. Besides dogs and cats roaming the farms, there are many beautiful birds, and occasional roosters which frequent the properties. Initially we wanted to farm some type of agricultural product such as avocados, but have re-visioned our future by starting out with chickens, and slowly introducing new citrus trees as time and money permits. We’re also building a horse stable to house four horses so we can ride them in the areas around our property. The quality of life is one of the main reasons we moved to El Retiro. After looking and buying properties in other European, and South American countries, we weren’t comfortable with living permanently in those areas because of health care, infrastructure, high prices, and educational facilities. In Argentina, we were promised a new highway would be built within the year by the government allowing easier access to where we purchased property. That was six years ago. In El Retiro, what you see is what you get and as good as it is now, there is more to come. Recent improvements within the six months that we’ve lived here include: New bus stop plaza at the entry of town, new street lighting and sidewalks from the entry of town, to the newly built entertainment plaza, and newly constructed reinforced concrete walls along the river, where a park currently exists. The park runs about a kilometer along the river with picnic tables and round covered structures within. It’s well maintained and is free to anyone. Within this same park, the city has built a waterfall fountain structure which takes water from the river, pumps it into a fountain pound with spraying water, and returns it back to the river. All these structures were built within the past six months. Within the town there are three good butchers, banks, mail service, hardware stores, feed stores, furniture stores, restaurants, notaries, health clinics, schools, and shopping for both high-end and low-end customers. There is even a motorcycle shop where we purchased a motorcycle that was the same price as other bigger cities. There is something for everyone within the El Retiro community. Being on the outskirts of the town is an added bonus as there are very few people who travel the road out to our farm. The road to our farm is used for bicycle racers, horse-back riding adventures, and hikers. There is also a swimming hole where the river is backed up with rocks so people from the area can come and swim if they desire. Within 20 minutes by foot from this same area, is a waterfall with different types of tropical birds hovering over the falling water. The view from our finca is amazing. We can see the entire town of El Retiro lit up in the evening. At times, a mist decends on the town making it invisible, and within minutes lifts. Lightning and thunder is a common scene in the evenings as is a continual supply of rain water. We don’t have any installed irrigation pumps as the rain provides for all the water our citrus trees need. We added a few dogs to our habitat. Initially we purchased two great-dane pups, but then added another two-year-old great-dane as a rescue dog from another owner. The dogs are a wonderful treat to have in a farming environment. We have dog kennels on the property, but keep the dogs at the house 24/7. They are great watch dogs, and we have never had to close our doors at night. We recently had a king-size bed made in the town as El Retiro is a woodworking town. We showed a picture of the bed we wanted out of a magazine, and one of the woodworking manufacturer reproduced the bed at a cost of $500. After the carpenter set it up, we decided we wanted it higher. Another carpenter in town added a 4 inch professionally made box spring, handmade four corner posts for the footing of the bed, and reinforced the center with four inch round cylinder-type wooden posts. We then showed a picture of the bed to another carpenter in town, and had two nightstands made to match the design and pattern of the bed. Both for less than $300. The internet service we have is currently DSL, but we hope to have a cable modem service in the near future. For now, the DSL service provides us with everything we need including streaming movies. Another great thing about the farming community just outside of El Retiro is the friendly people. Everyone greats one another, even strangers, and the pace of life is slower than most cities. For working, if you can do work by the internet, this is an ideal location. For playing, there are sports facilities at the beginning of the road to our farm. Besides a full-size soccer field, there are basketball nets, handball, indoor soccer, and other fields that include astroturf. Life as an expatriate is a wonderful life as long as you do your due diligence in finding a living situation where you have basic utilities, food, clothing, housing, supplies, and security. Anything more than these items is a benefit. From our experience, it usually takes anywhere from 6 months to 2 years before one can accurately describe a location from many perspectives. As we’ve currently lived in the countryside of El Retiro for six months, we are thankful for every day in El Retiro. It is a unique town, in a unique country with friendly and helpful people. We have no regrets. I enjoyed reading your “hands on” experience and plan to visit the region, likely 2014. I am Swiss and live in Geneva, Switzerland, a great town to live and a lovely country. Life becomes costly. A few days ago I needed to travel from Geneva to Zurich, train is fast and comfortable, takes 3 hours and … over 300 Swiss Francs cash (just over us$ 350, two way fortunately), by plane is even more expensive and from door-to-door is not faster. Today I needed to take my dog to the vet : over 400 Swiss Francs (somewhere close to us$ 500 !) cash, no cards. Tomorrow I have to take it to the vet-cardiologist, God knows how much cash that is going to drain. For the moment I am trying to put my financials in order and plan to visit Colombia in 2014, eventually look for a place to rent for 1 year, allowing to become better acquainted with the country before I consider to buying anything. Here is a note from Greg, the author of the article. I have to cut and paste it to keep it in the thread. Your plan to rent is a good one. When we came to Medellin last year, it was only for a month. We looked at several areas, and knew right away where we could live. After talking to other expats, and visiting local towns, we confirmed that the area we chose was best for us. I know what you mean about the costs of vets. Here, the prices are considerably cheaper. We had major surgery on one of our great danes and the cost was less than $300 for all the medicine, surgery, and lodging for five days in the intensive care area. The level of care was much better than the states and we now drop by and see the vet doctor every few weeks as she has become a good friend. My experience, generally with vets in Colombia, has been excellent. The level of care is very good and the costs are very reasonable. One thing you did not mention in your article is your knowledge of Spanish or your immigration status. Having traveled extensively in Colombia I can say for the person that doesn’t have a degree of fluency life will be challenging especially in smaller towns. This actually is just a feel-good article that is well written. You must be financially well off, congratuations. It’s true that any person thinking of going to, or living in, any Latin American country should have some experience with the language of that country. That being said, I have a basic understanding of the Spanish language and I am learning new phrases and words weekly. I’m not as fluent as many. It’s more difficult as I become older, as I don’t hear as well as I use to. There are classes in Spanish in my local town of El Retiro and the cost is minimal…a few dollars a month. Immigrating to Colombia is not an easy process if you come without looking at the visa requirements. You’ll need to decide before coming permanently what type of visa you want. The requirements recently changed in July 2013. If you are near retirement age, the pensioner visa is easy to get. If you have over $100k to invest, you can get a temporary investment visa which you’ll need to renew each year. Make sure you account for your investment money through the the Banco de la Republica with a formulario-4. If you have over $203k to invest in a home, you can get an investment visa – this is the one I got – which you will still need to renew each year for five years. At the end of five years, you’ll be eligible for a permanent resident visa. The temporary investment visa will take you 10 years to get a permanent resident visa. If you bring money into the country and don’t have your formulario-4s filled out correctly, you can still correct them with a new formulario 4 and the referenced number, and the Banco de la Republica will update your investment. I had my money brought in through a friends account, and after six months, sorted out the source of the funds with the Banco de la Republica, who then issued me a letter stating the dates and amounts of my foreign investment which was needed to get my investment visa. I have a brother who wanted to come here thinking a few thousand dollars would be all he would need. To this I responded, you need investment capital for a home, and some type of capital for daily expenses such as gasoline, electricity, food, gas, and basic health necessities, and a bank account in the US to use as a conduit for withdrawals. He decided he needed to build up more capital before making the leap. The quality of life where I live is like it use to be in Northern California back in the 50s. It’s much simpler, and people greet each other with smiles. No place in the world is without its problems. I’ve had to deal with water issues as more people want to move out where I live and there is currently one main water source for four of our homes. The solution was easy. The people from the water department, Coronare, came out and inspected the water setup, and are making recommendations for the existing water sources’ expansion. I haven’t come across any issues which I could not solve. To me, this is the core of Colombia. It’s a country working to improve the quality of life for its citizens and not just talk. Mr. Farrell, How is the medical care in your area? Also, how is the situation with the gangs and the cartels? Does the region suffer from kidnappings? Do you have to drink bottled water? Is there an import tax to bring things into the country? Thank you for providing this information. Thanks for your questions. This is David and I am the moderator for the site. The medical care in this area is excellent. Immediately in El Retiro, you might find the medical care, perhaps a bit rural however twenty minutes away in two different directions are two excellent clinics. One is extremely new. It is high tech, leading edge and has a world class transplant centre. Thirty five minutes away in Medellin are located some of the best hospitals in Colombia. There is no doubt that there are gangs and cartels and still the odd kidnapping – usually politically motivated. HOWEVER, the notice on the US Embassy website about travel in Colombia is extremely over cautious and needlessly frightening. If I had the space I would post the brutally and extremely high incidence of crime in Tennessee, Nevada and Alaska. I have never been to St. Louis but have been told East St. Louis is one of the most dangerous places in the US. In 1965 , how many people in their right mind would have gone to Watts ? There is the odd bombing still in Colombia – but hey – it happens in the US as well and you don’t see the Colombia government saying, ”don’t travel to Boston” ! Colombia, like any country has areas where you should not go. Kidnappings are really a thing of the past. Colombia is very safe and a worthwhile destination for either tourism or residency, like Mr. Farrell. In some locations you should drink bottled water – most of the smaller centers and I would include Cartagena. Medellin and Bogota have extremely modern and efficient water treatment plants. Mr. Farrell’s finca has its own water source (it is in the mountains) and I believe that they do their own water treatment. I lived in the countryside for sometime and the quality of our water was extremely high and we drank it from the tap. The medical care in El Retiro is better than most places. We have a hospital and clinic within a couple miles of our farm. The cost is less than half of the $243 a month I was paying in San Diego, including a $50 deductible. Here, there are public and private plans. I have a private plan. I understand that gangs and the cartels have diminished, and under Ex-president Uribe, have ended their years in power, but I have no personal experience of knowing what’s really going on. The same is true of kidnappings. I have heard stories of Americans taking taxis in the streets of Bogota and Medellin being robbed, but I haven’t had any experiences of such. The taxis I’ve taken have drivers that seem to be very interested in where we’re from, and they like America, or like us, the stories they’ve heard of America which were probably from long ago. As David mentioned, we can drink our water. Our next door neighbor has a filtration unit at the entry of her farm, but we have nothing except for the filter on our Samsung Refrigerator. I’m happy to say that this is the best tasting water I’ve had in a long time. It comes from a mountain creek that feeds into two water supplies that supply four of our houses. The import tax was prohibitive so we left everything in San Diego. I believe it’s around 36 percent. We bought our farm with furniture included. Since moving here, we’ve used a shipping company in Florida for things like lawn mowers, chain saws, electronic keyboards, spices, etc… that cost $2 a pound to ship. It’s well worth it, and we don’t pay the 36 percent. We recently bought a new laptop which we had shipped, and paid nothing for the tax. It is worthy to note, throughout our site we recommend that you don’t flag taxis in the street. It is always better to call or have someone call for you. In Bogota there is a taxi app available which will tell you the name and id of the taxi that is picking you up. I have been to Colombia, besides checking out lots of places in which to retire…it all boiled down to me, between the Bay Islands Honduras, or the out islands of the Bahamas, a Commonwealth country. The latter won.!!! The climate is great ,country beautiful, people lovely , all speaking English … basic law British/ American…Close to the USA…unspoiled sub tropical so gardening and farming possible… A natural rare find!!!….. Thanks for taking time to stop by and read Greg’s article. Glad to know that you are happy in the Bahamas. Each of us find our own ideal location. As you know, some people don’t want to live on an island. El Retiro is very temperate, never hot or really cold. It is 25 minutes to the International airport and 35 minutes to Medellin which has every modern convenience one could want. The soil is very fertile and has year round growing conditions. There is no hurricane season either. Cheers ! From what I’m to understand from both the article and follow-up post, anyone considering relocating to Colombia should expect to have at least $100,000US to live? Maybe I’ve misunderstood, however with an income of $100,000, many Americans can find very nice places to live in the US without the “huge” taxation or language hiccups moving to Latin America presents. Anyone of the Hawaiian islands fits the “live near or on the beach” scenario. The $100,000 US that Greg was speaking about is one of the many ways through investment that a person can get a visa. A person with a pension of approximately $1,000 US can also get a visa as well. We are going to do an article in the near future on how someone with a modest income can realistically live in Colombia. Each country has a different set of tax laws so it is not necessarily the case that an individual faces huge taxation. I would be more concerned about the ever increasing control of my personal funds by large powerful governments. There is no doubt language is an issue if one wants to move to Latin America. I do know people who have come and managed quite well without Spanish. Personally I recommend anyone moving to a foreign country should learn the native language. I am certain that you know, there are lots of Americans who no longer want to live in the US even if Hawaii is lovely. Thanks for your input. It is much appreciated ! We also looked at homes on Maui for ourselves. Anything on the water is in the multi-million dollar range which was out of our league. My mother recently sold the second of her two condos on Maui, Hawaii. Both were within 500 ft of the beach. When she wasn’t there, she rented them out. There are many things to do on the islands to keep you busy, but like my mom, I got island fever after three months…I needed to go back to the mainland. The association dues of the condo complex were over $550 a month for each unit, in 2012. Food costs were reasonable, but I thought when I last visited that the islands had overbuilt housing and resorts without a good traffic plan. The Pukulani Highway is bumper to bumper around 4:30pm in the afternoon going towards Wailea. I’d like to clarify that we paid no taxes coming here, and that we only brought personal items, including family photos, pictures, and jewelry. The money we made from selling our belongings in San Diego paid for the truck we purchased here, along with other personal items. It was really a cleansing experience as we had collected “stuff” for more than 17 years, that we rarely used. If you are considering going to any island to live full-time, I would recommend renting a place for at least three months. You’ll know within that time period whether or not you could live there permanently. Good article Greg. Congratulations on finding such a lovely part of Colombia. El Retiro sounds like my kind of place. I have heard it mentioned many times in various Colombia forums and I hope to visit there one day. 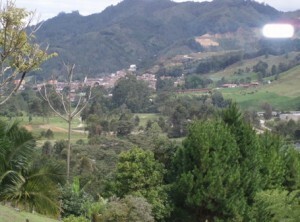 I also live in Colombia just outside a small town 1.5 hrs from Bogota in a rural setting that sounds very similar to yours. The process by which I ended up here was a bit more simple than your global search. My wife has a farm and a business plus a lot of family and friends here. I came here first for a months holiday but then loved it so much I decided to move here permanently. 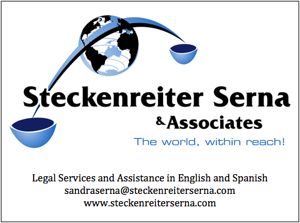 The visa I had was a ‘partner visa’ which is very easy to obtain if you are married to a Colombian and now I am a ‘qualified resident’ (after 3 years of partner visa). I built my own home here but I don’t actually recommend that to anyone…..lots of problems……better to find an existing home that you like. We also are growing fruit trees and have dogs. Do you know what is the population and elevation of El Retro? Congratulations and good luck for the future. Regards and best wishes barrumundi. The elevation of El Retiro is an average of 2166 m although Greg’s house is a bit higher and looks down on the town. As of the 2009 census there were around 18,999 people – half split rural and within the town. I spent a delightful two weeks with Greg in their search. For me, El Retiro is one of my favourite towns. Here is another article about El Retiro. You need to factor in Colombias tax laws – they have recently changed and mean that anyone there over 183 days a year is considered a tax resident and is taxed on Colombian AND worldwide income. That may be a factor to some people. In addition, owning property over a certain limit (around 70 k from memory) means you are obligated to fill in an income tax return each year regardless of your tax status. It is important to complete these details provided by Bickers. The following information has been provided by our resident Colombian accountant Luis Chavarriaga. Yes, it is correct, as per law 1607 from December 2012 that after 183 days you are considered a tax resident. You must also consider that to be in the country over 180 days requires a visa and thus a commitment to be in Colombia for some reason – residency, business or perhaps study. Suddenly being taxed on a worldwide income makes people believe that they make be doubly taxed. That might be the case however it is important to check with your native country whether it has a tax agreement with Colombia. Individuals and corporations that receive money from a different country, can use as a tax credit the income tax already paid in the original country up to the Colombian tax rate, not more than that. For the fiscal year 2012 if you had assets greater than 117.221.000 COP you were required to file a tax return. Filing an income tax return is very easy and it does not mean that you will have to pay taxes, it is just information that Dian (the tax office) asks for. You would start paying taxes only if your assets are over $1,000 million pesos. Luis is available for private consultations. He can be reached through the general contact form on the right side of the home page. As an accountant/auditor, and prior Tax Chief for the City of Sacramento, California, back in the early to mid 90s, I have read the 125 page Colombian tax law enacted on December 26, 2012 with the help of Ultralingua, google, and a translator friend. I find that the spirit of the law is to 1) capture revenue from foreigners who come to work in Colombia and pay no taxes and 2) capture revenue from Colombians who work abroad and don’t bring their money back into Colombia. In my situation, I will need to file a tax return, just as I did in France, but will have no tax liability. KMPG and PwC did an analysis on the law, 1607, and both identified issues with the employer and employees, with no mention whatsoever of retirees. I think the “worldwide income” piece of the law is poorly worded and could scare potential investors. As Greg has indicated the tax law is poorly worded and it has definitely has scared off some of my clients. Certainly retirees, as do other investors, bring capital, experience and hard cash to this country and the government should review this law. As our Colombian tax consultant Luis Chavarriaga has mentioned there is a good possibility that this law won’t affect many people, at least if they have paid tax in their own country. Everyone who lives in Colombia more than 183 days must file an income tax statement but it is an easy thing to do with a little assistance and it does not mean that you will have to pay tax. For me, you have summed up the town nicely. Many small towns in Colombia are chaotic and not particularly attractive. As many of the town folk in El Retiro are involved in working with wood, there seems to be a greater pride in how their homes and businesses appear. As you drive up the road to El Retiro from Las Palmas, you can smell the sweet scent of the pines lining the highway. In town there is a blend of aromas from the woodworking shops, to the panaderias and the local coffee roaster. It is indeed a pleasant place. Great article. You have already lived in some of the countries I was considering, but sharing your experiences has helped moved them down my list. It never crossed my mind to take a serious look at Colombia. Can you recommend a hotel or apartment in El Retiro to stay? Do you know if there are there houses that could be rented long term in El Retiro? If so, about what price ranges? Thanks for the article and sharing the info. It helps guys like me shorten the learning curve. Many people have not given Colombia a serious look because of its 50 plus years of bad press, but there are lots of sites worth considering. I helped Greg find his place in El Retiro and would be happy to assist you if you come this way. I will pass on the name of a hotel for you to consider. 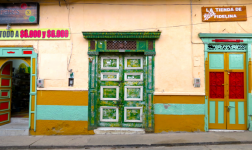 Renting in Colombia can be challenging for a foreigner. Usually there are a lot of hoops to jump through. There are apartments and homes for rent in El Retiro. The prices range per month from $300.00 US for a simple two bedroom apartment to $1,200 – $1,500 for a home. Greg, got a question for you from someone who lives in the greater Sacramento region. We both know what the climate of the area is like. I HATE areas with high humidity and heat. I lived in the Caribbean for a number of years, visited the Philippines and Rio De Janeiro both twice and there is no way I could ever go back to living in that kind of climate every again. Costa Rica is labeled as eternal Spring but I forgot that it is also Spring once a year in the South and Midwest. CR was beautiful but, again, too humid except way up in the mountains. So with all that, how is the climate where you are at? Rain is OK and I wish we had more of it around here. Dry heat is bearable. And Spring/Fall in the Sac region is awesome. But forget heat with humidity. Thanks for your answer and I will be checking this site out further. The average temperature for the past fourteen months for us has hovered around 68 – 76 degrees Fahrenheit, and humidity levels around 40 – 50 percent. At 7300 ft in elevation, we don’t experience the high humidity of lower elevations with 75 – 90 percent humidity. I bake bread twice, sometimes three times a week and I re-soak a towel within a couple hours of the rising process as it dries out. I purchased small dehumidifier packets for a couple of our closed off storage rooms underneath our roof as the humidity levels in these areas exceed 60 percent. These storage rooms are also located underneath our roofs storm drainage run-off canals. It rains at least once a week where we live, if not more; however, even with all the rain, the humidity levels are low. Not only is the humidity levels low, but the water is the best water I’ve tasted in the world. Our mountain stream water supply makes me choose water over diet coke, or bottled water. I haven’t tasted water this good since I was a youngster in Northern California. Wow a commute from Chicago ! I use to hate driving across town ! There is teak here in Colombia. I know of teak that is basically not being utilized – people were encouraged to plant it but not taught to manage the thinning. Eucalyptus, is very accessible in this area. With some oiling it takes on a teak like appearance. It grows like crazy in the regions around El Retiro. I have cut stakes from Eucalyptus and come back and found them thriving. El Retiro is a town where the major industry is wood centred. If you are wondering about local wages – minimum wage is 616.000 COP for 2014 plus benefits. All in it is about 600.00 US per month. We will look forward to seeing you ! I like El Retiro very much. There are other more picturesque pueblos but the climate is comfortable and it is well situated – easy access to Medellin and the international airport.